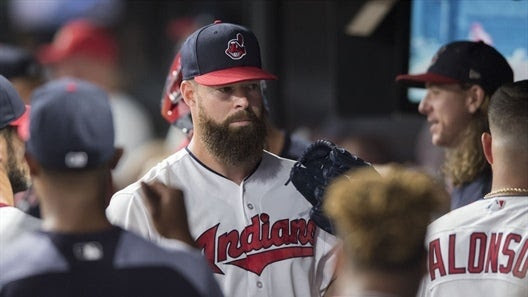 Corey Kluber was an all-around champ this week, as he won 1 game, produced a 0.57 WHIP, and sported a 0.00 ERA. TEABAGGERS had the biggest jump in the rankings thanks to Corey Kluber. SCHNOOKERS put up big numbers last week, and followed that up with yet another huge performance this week. SKINS have now moved up a total of five slots over the past five weeks. Colt 45s have had to deal with seven straight weeks where Tony Kemp has underperformed his positional average. TEABAGGERS’s performance this week was a big turnaround from last week’s disappointment, allowing them a bump in the power rankings. Logan Forsythe is on a disturbing slide, doing worse in our roto player metric in each of the last three weeks. MASTERBLASTERS have been enjoying the services of Ryan Brasier, who has given them seven straight weeks of above-average roto performance. Blake Treinen is the main reason for DEADWOODS’s jump in the rankings, as he logged 3 saves, put up a 0.00 WHIP, and sported a 0.00 ERA. Only coming up with a .202 BA, a 1.50 WHIP, and a 5.82 ERA caused ARMCHAIR SLUGGERS to careen down three spots in our power rankings. After only managing 0 wins, 1 home run, and a 1.58 WHIP, we peg SHAMS as the least powerful team around.